If you have a loved one, friend or family member who is unable to fully enjoy and use their home as a result of a physical or mental challenge you know how frustrating it can be for them. For someone using a wheelchair, walker or who has a sight or mental impairment the “average home” can be a dangerous place! 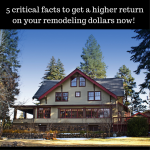 The great news is with proper planning, design and construction techniques it is possible for anyone to enjoy and use all of their home. If you don’t believe me take an inspirational and educational visit to the Universal Design Living Laboratory (UDLL) (which is open for public tours through Sunday November 23rd). The UDLL is not only a home which is being enjoyed by Rosemarie Rossetti (a national speaker and trainer whose paralysis requires a wheelchair) and her 6’4” husband Mark Leder (a universal design consultant and marketing strategist) but it is a “living laboratory” and educational hub for homeowners, designers, architects and building professionals on how to effectively design a home to be used by people of all statures and abilities. 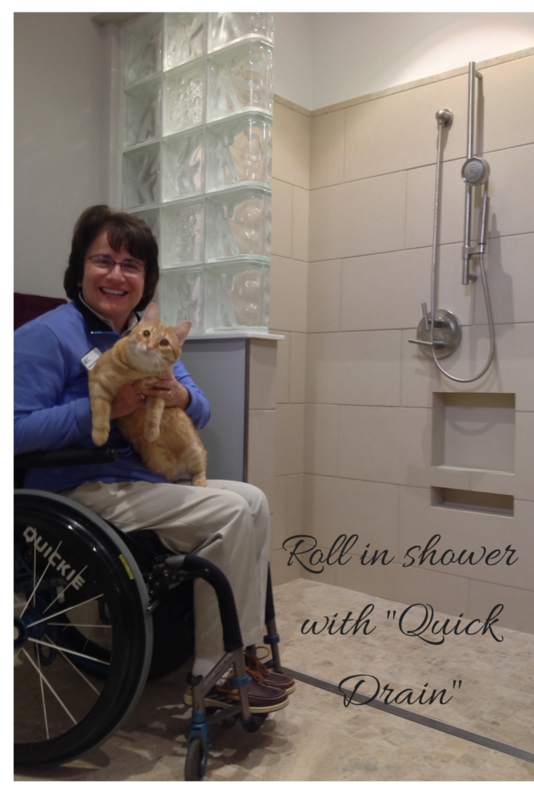 The article below focuses on 7 universal and accessible design features of one room in this home – a lower level barrier free bathroom with a wheelchair shower which can work for anyone. 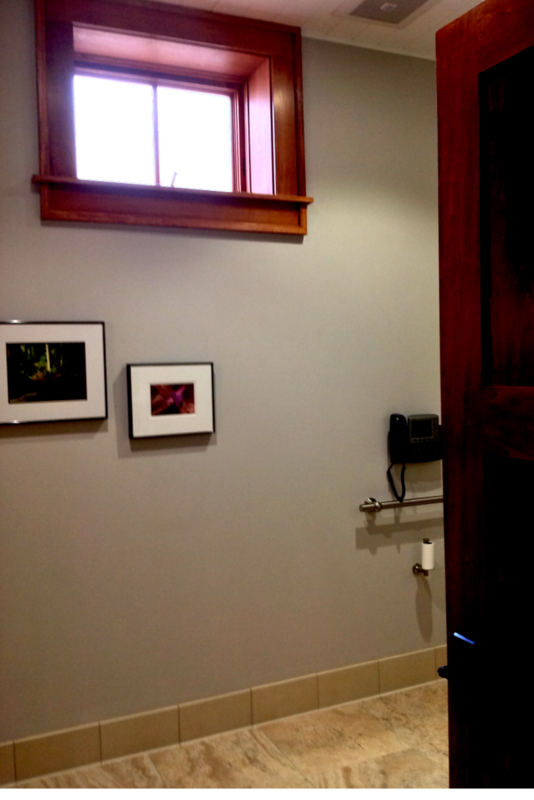 This finished lower level also serves as a classroom/education center for universal and accessible design education. Let’s explore this room. • Feature 1 – Going down! 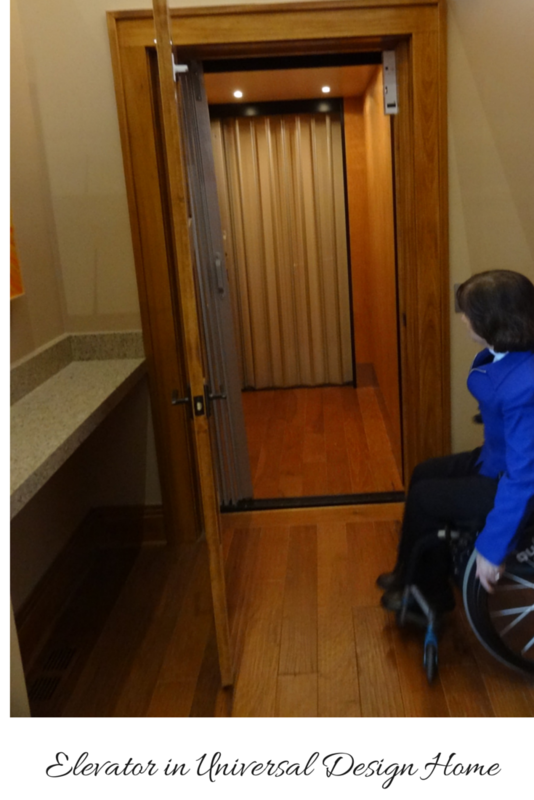 An elevator – One of the cool things about the UDLL home is no space (inside or out) is off limits to Rosemarie in her wheelchair! An elevator provides access to the lower level. 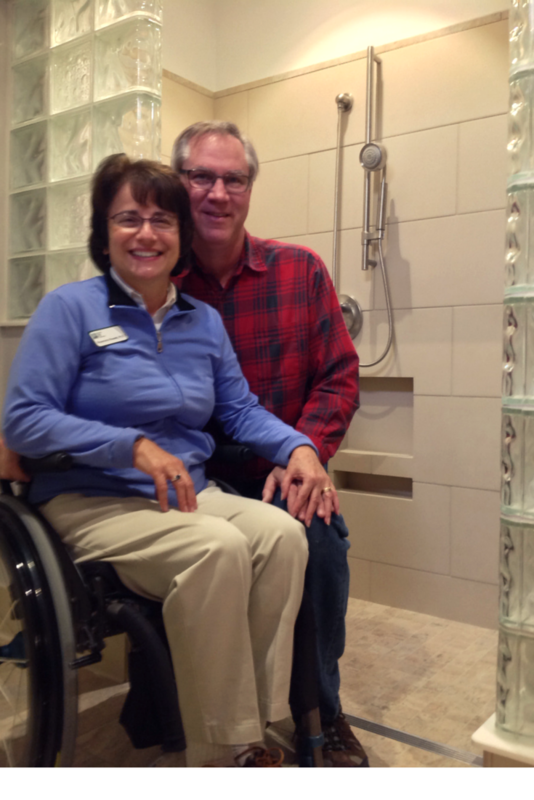 • Feature 2 – A roll in shower – A 4” shower curb is no big deal to most people – but for someone using a wheelchair or walker it might as well be Mount Everest. This shower incorporated a level, sloped concrete subfloor and a linear drain (from Quick Drain) to make it easy for anyone to gain access. • Feature 3 – A window – Never underestimate the benefit of a window (especially in a lower level space). While this window would be difficult to open (it is about 9’ off the floor) it provides natural light which makes the room not only feel light and brighter – but safer and easier to shower and shave as well. 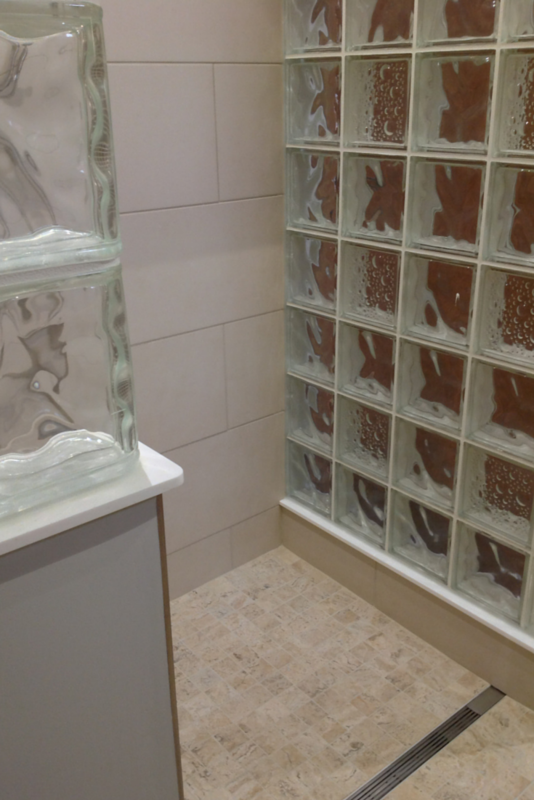 • Feature 4 – A sturdy glass block shower wall – Glass block walls not only move abundant light into the shower (which can help those who are visually impaired) but this 4” thick wall provides a sturdy structure if someone loses their footing. This project used a unique design incorporating “Icescapes” and “Seascapes” pattern blocks from Pittsburgh Corning. The wall was prefabricated in sections by the Columbus Glass Block division of Innovate Building Solutions using the “Protect All” fabrication process which results in tight 1/8” joints between the blocks and no wire through the coursing to rust over time. • Feature 5 – A hand held shower – Showering is made easy – no matter how tall you can stand – with a hand held shower. The hand held unit can be maneuvered from a seated or standing position and it makes it easier to clean the space. This particular project used a “Purist” brand hand held shower from Kohler. • Feature 6 – A roll under vanity and sink – Washing your hands is a snap for anyone with the access provided by this roll under sink. 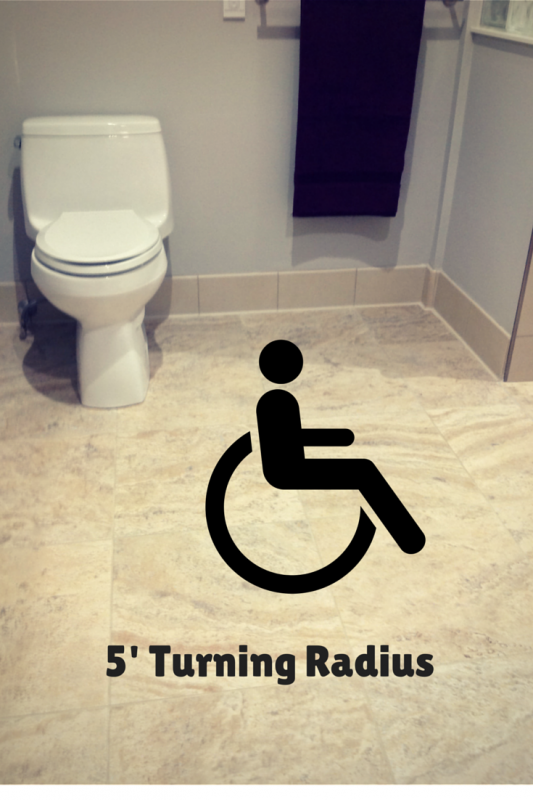 • Feature 7 – Excellent turning radius and a smooth “road” – When most people think about turning radius they think about cars – not the ability for someone who is mobility challenged to get around a bathroom. This bathroom was designed with a 5’ open space in the center of the room and used large 18” x 18” non-slip tiles from Florida Tile to make a smooth “road” (floor). Are you inspired to learn more about universal and accessible design? If so visit the Universal Design Living Laboratory before November 23rd or look for future educational classes at www.udll.com. 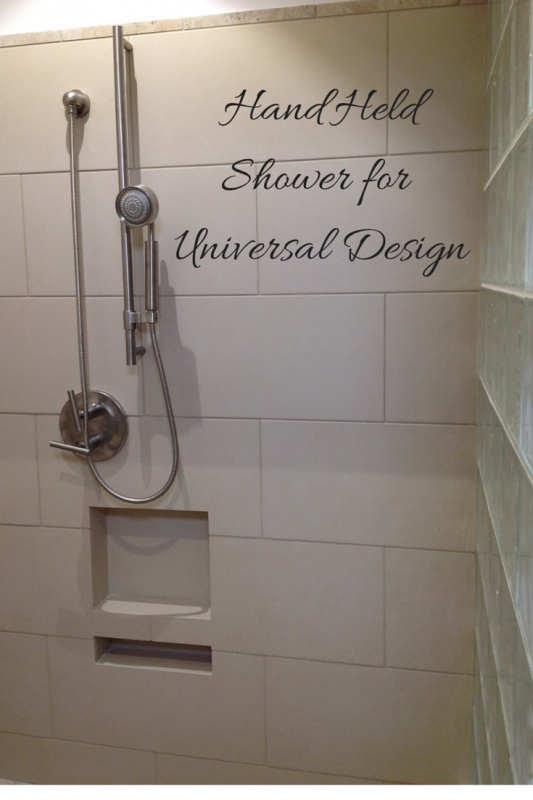 For more information on the glass block shower shown in this project or other universal and accessible design products call Innovate Building Solutions (877-668-5888). 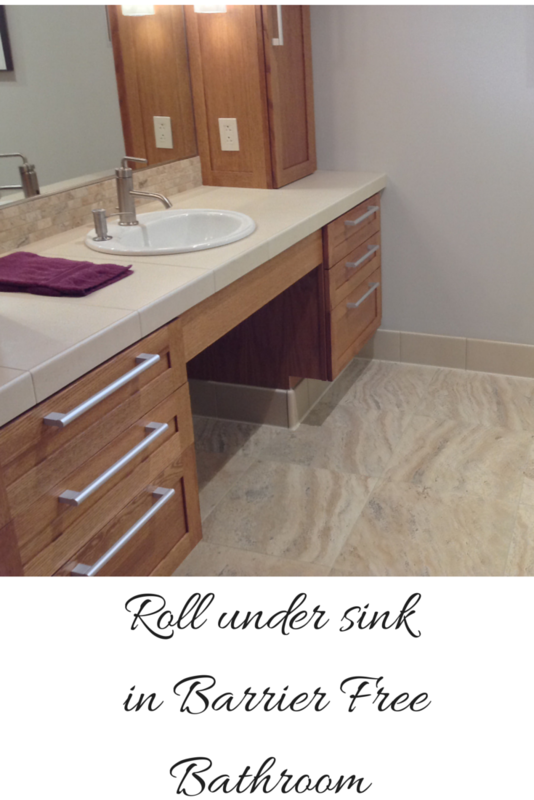 For complete accessible and universal bathroom remodeling contact Cleveland Design & Remodeling (216-658-1270).